Here are three photos of a breakfast menu from the Pacific Electric Restaurant at 6th and Main Streets in Los Angeles. The date of 12-41 appears in very small print at the lower right hand corner of the third image. 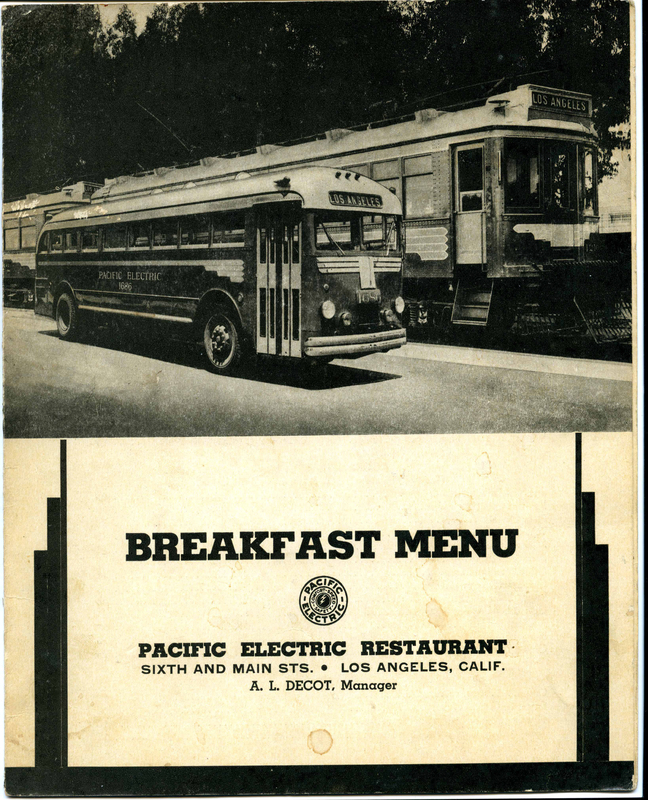 The cover shows what appears to be a composite photo of Pacific Electric bus no. 1686 superimposed in front of a ‘Butterfly’ Twelve. The number of the 1200 is not discernable, however, a picture of Butterfly no. 1216 posed at a favorite location of PE company photographers just outside the Torrance shops appears to be the locale. 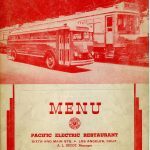 Donald Duke’s Volume 3, Pacific Electric Railway, Southern Division, 148 shows 1216 in an identical pose without the bus. and if you were really hungry the No. 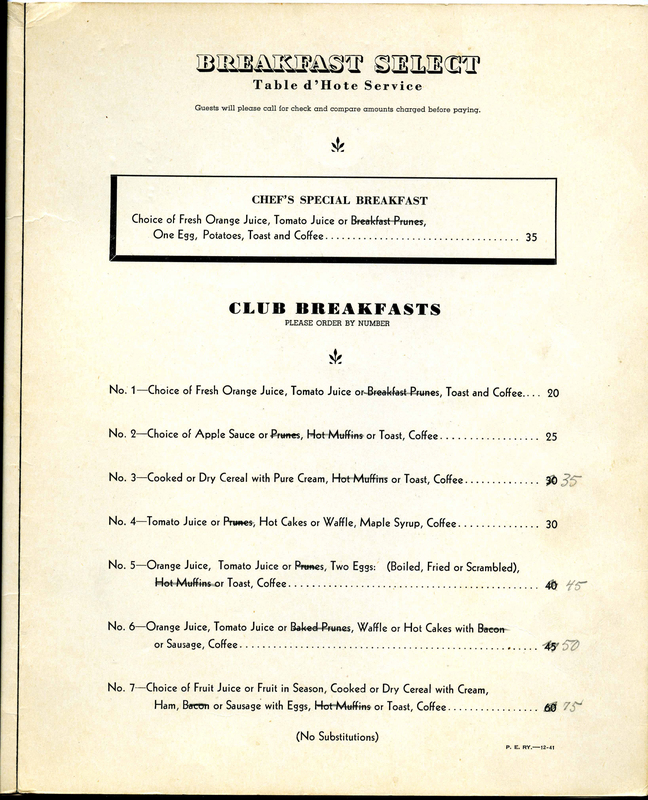 7 Club Breakfast cost a whopping .75 cents, $12.20 today. See also this link for more on the PE Restaurant. Many of these types of commercial photographs were produced by Arrow Studios with 8 x 10 view cameras. Their craftsmanship in the darkroom rivals even the best photoshop artist of our time. It would be interesting to know whether the food served at the PE restaurant was prepared in the restaurant kitchen or was it sent over from the SP commissary. The food on the menu looks very similar to offerings on SP diners. 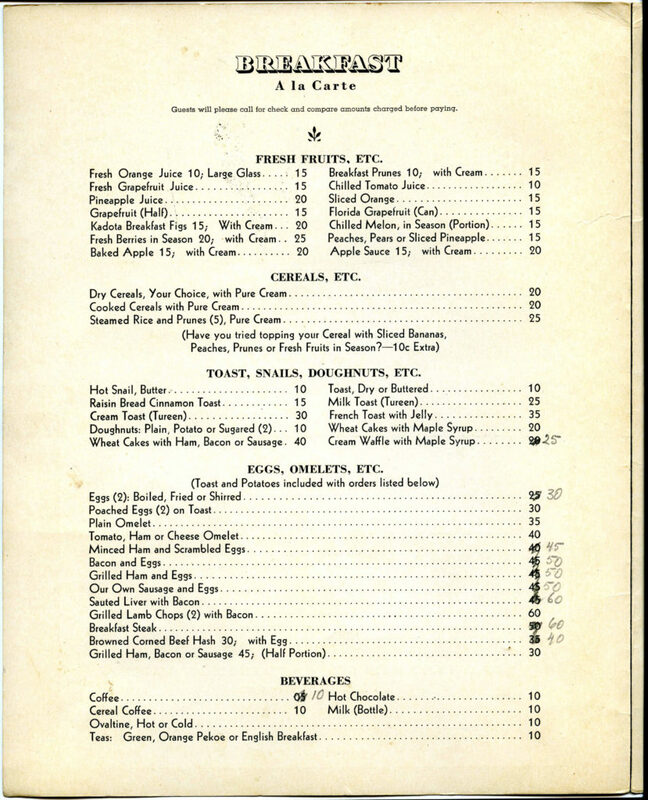 Since SP owned PE, it might have made sense from the efficiency standpoint for the SP commissary to also prepare food for a nearby PE restaurant. 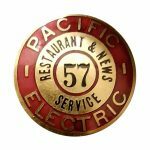 Before WWII and LAUPT, the SP commissary was located at the old SP coach yard on Alameda St. across from the PE 8th St yard. Of course, the SP commissary prepared food for the SP diners.